Leading African and energy conglomerate Sahara Group is partnering Zuriel Oduwole, a young filmmaker and avowed girl-child empowerment advocate, to promote girl-child education and gender equality in Nigeria, Ghana and Cote d’Ivoire. This partnership is being implemented under Sahara Group’s Grooming Film Extrapreneurs initiative, with a target to empower 90 girls (30 in each of the three countries) in the art of film making. 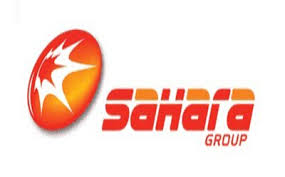 Bethel Obioma, Head of Corporate Communications, Sahara Group, commenting on the project, said Zuriel would be coordinating the training sessions slated from January 5 to 17, this year. Mr Obioma said after the training, the girls would be grouped into groups of five or six, where they could learn to do things they had been taught by themselves. Jocelyn Dumas, an actress and Tv presenter, is part of the training project in Ghana.